When space is a consideration, a small hot tub will best suit your needs and budget. Fortunately, at Cal Spas, smaller doesn't mean it can't be as powerful as any other spa. 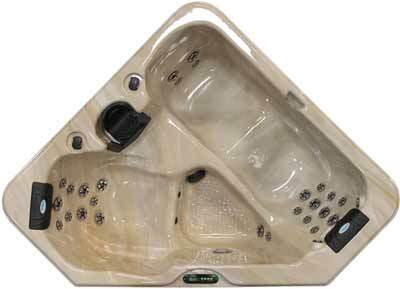 In the Z628T triangle spa, twenty-eight hydrotherapy jets are generously split between two contoured seats with molded armrests. Both seats are equipped with comfortable headrests for ultimate relaxation. 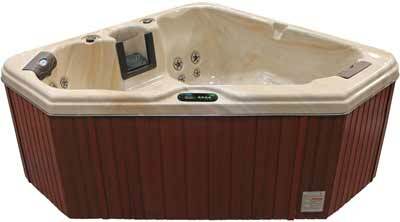 If you are looking to rekindle a romance with that special someone, then you will appreciate the intimate design and feel of the Z628T hot tub. Take relaxation to the next level with the Z628T today! Dimensions:72" x 72" x 35"